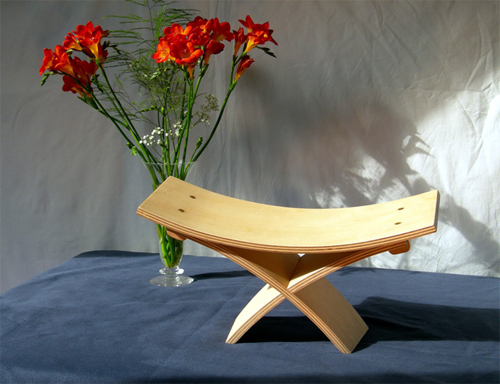 The Zen Bench arrived (promptly) this morning, and I am very happy and impressed by it's elegant design and function! Thank you for a beautiful and useful product. Just wanted to say thank you for the Zen bench. It's even more comfortable than I remembered - such a great design altogether. I received the Zen bench. It is absolutely gorgeous--a work of art (and is helping me keep to my meditation practice better). Thanks so much! I have today received the Zen Bench, and I have to say I am very impressed! It is beautifully engineered, and as I said to you in our recent telephone conversation, by far the best Bench that I have seen whilst looking for one on the internet. Thank you, I just returned home from a meditation retreat & the Zen bench was waiting for me. It's beautiful craftsmanship & sits lovely too, I'm extremely happy to be able to easily take the Zen bench on all my travels & to my classes. 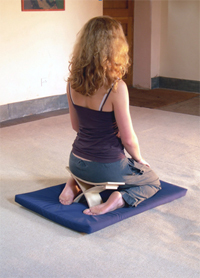 I will defiantly recommend the Zen bench to fellow teachers & all students. Just received my Zen stool and wanted to thank you for such a good product. Not only does it do as you say and fit in a backpack, but it is well designed, well made, and good to look at. Just want to write a quick note of thanks. I received the Zen bench over a week ago and I want to thank you for making such an ingenious little piece of engineering! It is very comfortable and it's portability is a great bonus. Thanks so much! Just a quick note to say thank you for the lovely Bench. I absolutely love the craftsmanship, the simplicity and genius of it. It will be travelling with me where ever I go. please keep up the good work and expect some referrals from me in the future.